All of our 8 string electric guitar strings are carefully crafted in the USA from all-american nickel and steel. Once you find the perfect strings for you, we’ll inspect, coil, and package them by hand. 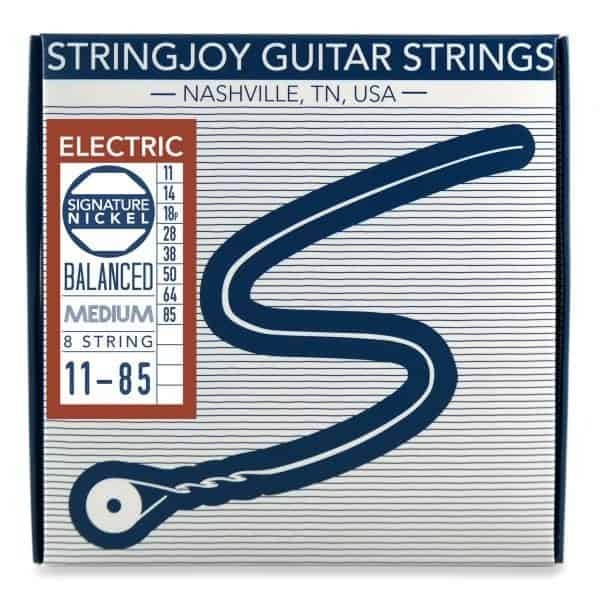 Soon you’ll be playing the best strings you’ve ever played — the perfect set for your playing style — and you’ll never want to go back to playing the same strings everybody else gets off the rack. The most frequent comments we hear about our string sets? How balanced they feel across the fretboard. How warm and consistent they sound fresh out of the pack. How well they hold tune right from the first time you tune up. The best part? 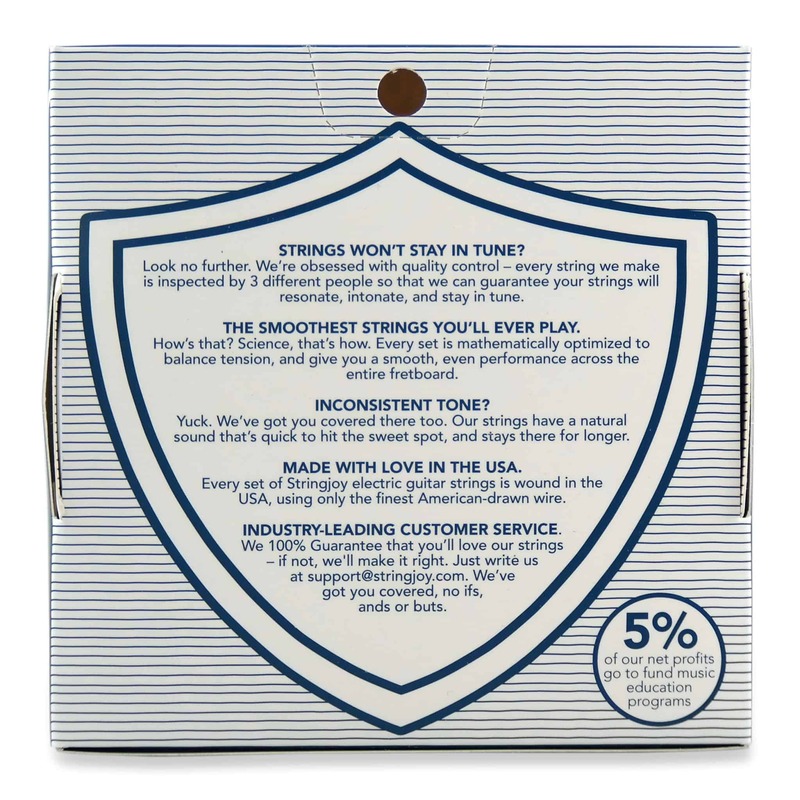 We offer an ironclad guarantee on all of our strings. Your guitar will sound and play better than ever before. If not, return your strings for a replacement or a refund. You have nothing to lose, and a world of tone to gain! Want to customize? 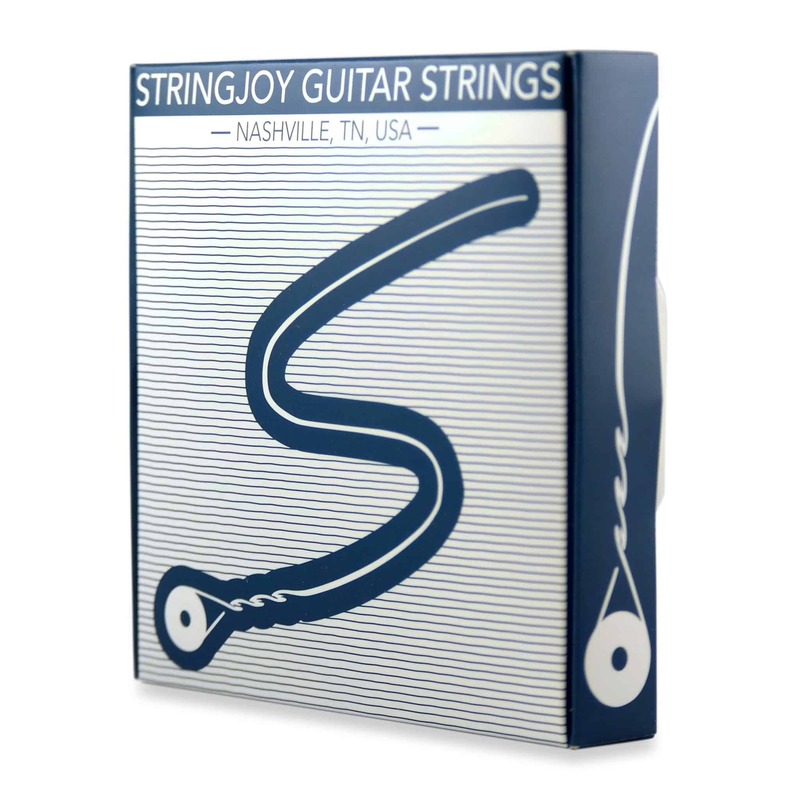 Check out our Custom 8 String Guitar String Sets. >> Zachary from Portland, Austen from Merced & 9 others bought this item recently.